The now Labour Party Leader .The then 27 year old Trade Union Official in his first election standing for the Workers Party in Dun Laoghaire – November 1982. In 1985 he won a council seat in Ballybrack, before winning a seat in the Dail in 1989. 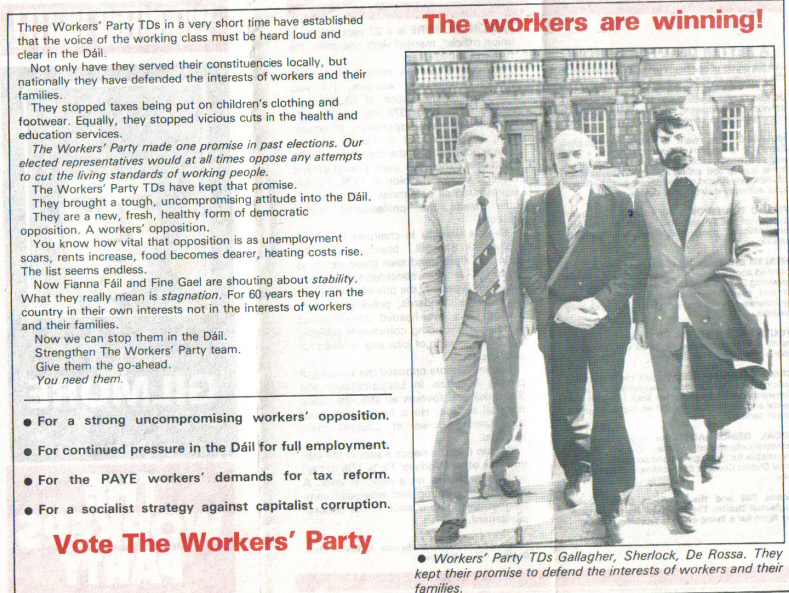 Amongst other Workers Party Gilmore items here is Do You Remember 1985?